You control who has access to your facility and when. Schiller provides Kentucky and the surrounding markets with access control systems and integrated solutions. We can specify, design, install and service an enterprise access control solution for your firm. 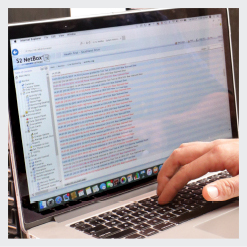 Whether you have single-site or enterprise global system requirements, Schiller’s experienced team can solve your security threat problem. Ask one of our associates about Threat Level Management. Usable video evidence is the only kind you need. Schiller can specify, design, install and service video surveillance systems to meet project requirements from 1 to thousands of IP cameras. 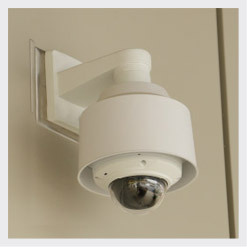 Our goal is to provide our customers with Usable Video Evidence when it counts. Contact Schiller today to start your journey to having a video solution that can work for you. Ask one of our associates about Mobile Security Officer. Perimeter protection that provides a true sense of security. 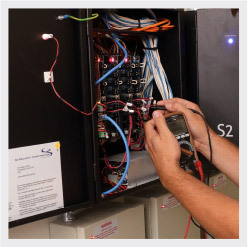 Schiller can specify, design, install, service and monitor your intrusion detection system with UL listed monitoring services. Our goal is to provide our customers with reliable intrusion detection monitoring and superior service. Contact Schiller today to start your journey to dependable perimeter protection. Let us take on the challenge of future proofing your infrastructure. Schiller can specify, design, install and service a network backbone with our team of BICSI certified experts. 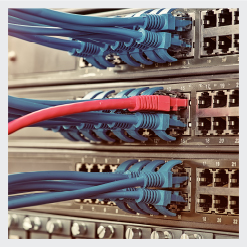 Our goal is to provide our customers with a dependable and sustainable network infrastructure. Contact Schiller today to start your journey to peace of mind regarding your network stability. control who goes where… and when. Our access control team is the best in the business. We work closely with our vendors to make sure we are always aware of upcoming changes and products. The result is a solution that gives you the maximum peace of mind and performance, with minimal hassle. Access control answers the questions regarding centralized control, security, monitoring and management. We’ll talk about your goals and how they relate to the whole entryway and the building’s requirements, not just electrified locks. From there, our team can build a custom solution based on your needs. Give us a call and let’s talk. We’re the Door Docs. Committed to giving you security and peace of mind.